Whether you opt for the three or five-door version of the MINI Hatch One, you're guaranteed to end up with a stylish compact car that's incredibly fun to drive and is surprisingly practical too. 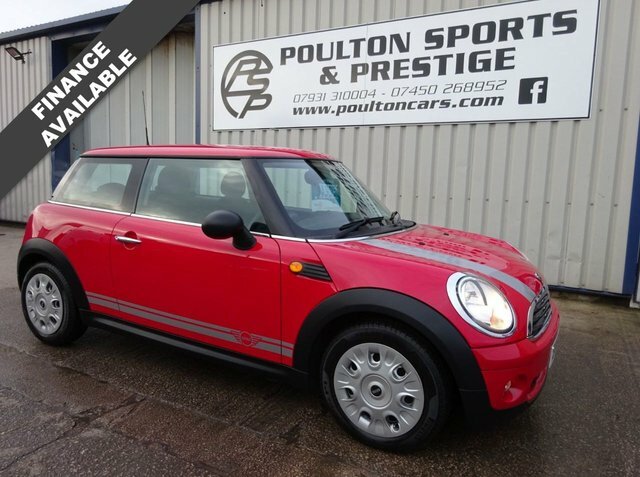 Here at Poulton Car Sales T/A Poulton Sports and Prestige you can view the complete selection of used MINI Hatch One models for sale in Poulton-le-Fylde online. Of course, if you require any more information on the models listed, it's quick and easy to get in contact with a member of the showroom team. All of our cars come fully inspected and whether you're looking for a two-seater roadster or an executive saloon, we'll do everything we can to help you find the right used car in Poulton-le-Fylde to fit your requirements.